Working at AAM is more than a job. It’s becoming a member of our family. We strive to maintain a strong service culture by integrating fundamental family values into our daily business practices. When you choose to work with AAM, you’re not just getting a job. You’re becoming a part of our family. 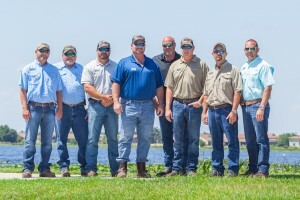 At AAM, we’re passionate about the services we provide and feel that it is our dedicated staff that has helped lead us to be Florida’s premier aquatic management provider. Being a family-owned business for over 30 years, we value our history and the many employees who have helped us achieve greatness.